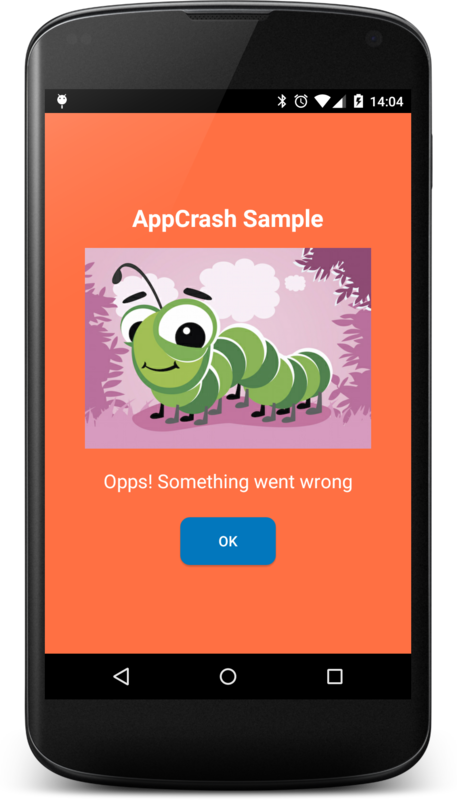 AppCrash let you relaunch the app and manage crash message when your app has an exception. AppCrash launch an Error default activity or an Error Dialog in your launcher Activity declared in the manifest. By default library launch an activity with an error message and when click "Ok" relaunch the activity with LAUNCHER intent in the manifest. AppCrash is available under the Apache License, Version 2.0.